Most Blogged About Online Retailers - Are They Really? Home Ecommerce Platform Most Blogged About Online Retailers - Are They Really? Most Blogged About Online Retailers – Are They Really? Nielsen Online recently released some data from the top 1,000 influential blogs (determined by inbound link popularity) and discovered that gift recommendations, reviews and gift buying guides were all the buzz in the blogosphere. 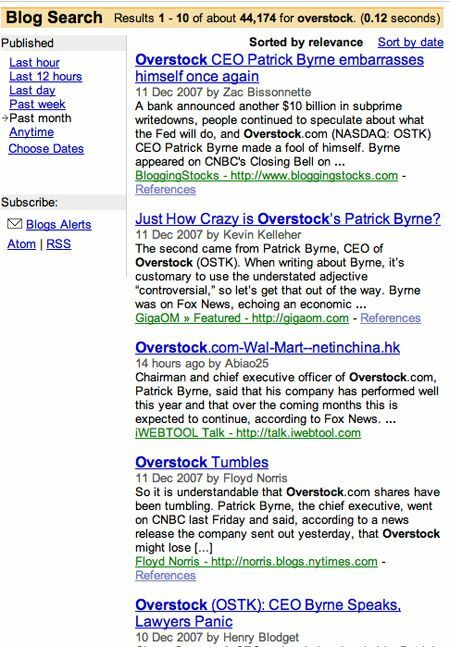 Of course, the top blogs are usually techie focused or celebrity gossip!. 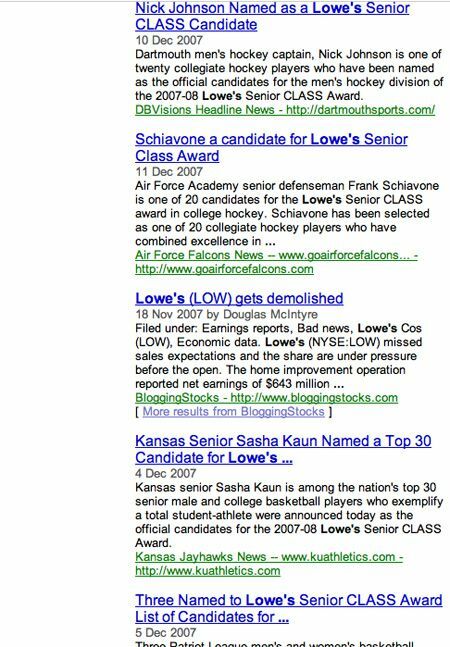 When I Google-Blogged “Lowe’s” there were many results for the word including Lowe’s Senior Class Awards, but not talking about the retailer’s product much, aside from posting coupon codes. Not exactly product reviews! Fair enough, Nielsen probably has a more sophisticated tracking system (for influential blogs) than a simple Google Blog search. Nielsen Online analyzed online conversations in 1,000 influential blogs, as determined by volume of inbound links. Using a proprietary tool to incorporate key correlations in consumers’ language, we created topic-specific classifiers to establish the total population of messages about holiday shopping from November 1 through November 30, 2007. We then drew a random sample of 100 messages and coded each message for the topics that are driving conversation. But my question is what is considered retail-related conversation? A lot of these companies make the news because they are publicly traded, they share branding with other types of business (Hallmark Channel), they’re popular with the deals and coupon crowd or they get sued by a socialite. What do you think? Do you find the Nielsen research believable or a reliable benchmark for word-of-mouth marketing? Who do you think is really getting discussed the most by real consumers?